If you haven't heard of Qobuz, that's not surprising. The company has had a rough time over the last few years. Although it's reasonably popular in France and the UK—the app has between 100K-500K downloads on Google Play—it's been confined to European markets. With recent reports (English coverage here) alleging that Tidal is short on cash and could run out of money in the next six months, there might be a space opening in the US market for a high-quality competitor. Qobuz seems to have arrangements with most major labels, with millions of tracks available in 16-bit/44.1 kHz FLAC, and around a million at a higher 24-bit/192 kHz quality available for both streaming and downloading. And, as you'd expect, it has apps for both iOS and Android. Like other services, it works with Chromecast-compatible products, as well as other audio systems by names like Sonos and Marc Levison. For more details, you can check Qobuz's site, and the PR below. The company's entrance into the US market is expected to happen sometime in mid-2018, with more information to come at CES 2018, which is just a few days away. Pricing in the US remains a mystery, but if it's anything like the cost in the UK, expect it to be high, with the highest-quality "Sublime" plans costing multiple hundreds per year. At equivalent pricing, it might not appeal to everyone—Tidal is still cheaper, and offers similar 24-bit audio for less. We'll have to see what the details for the US market end up being. Premium (MP3 320 kbps), $9.99/month or $99.99/year. Hi-Fi (16-bit/44.1 kHz), $19.99/month or $199.99/year. Sublime (Hi-Fi + downloads of Hi-Res 24-bit at MP3 prices), $219.99/year. Sublime+ (Hi-Res 24-bit FLAC up to 192 kHz + up to 60% discount on a large part of the download catalog), $349.99/year. LAS VEGAS, Jan. 3, 2018 /PRNewswire/ -- Qobuz, a European commercial online music streaming and downloading service, announced today its high-end system will be available in the United States beginning in mid-2018. Qobuz is the highest resolution music streaming service in the world, providing users with the most in-depth and interactive music experience possible. It offers an extensive music catalog of 40-million tracks and is the only service to offer over one-million high-resolution tracks. Qobuz works on Mac/iOS/Android/Windows operating systems, and is integrated with all of the most prestigious Hi-Fi brands. Qobuz is the highest resolution music streaming service in the world, providing users with the most in-depth and interactive music experience possible. "We are absolutely thrilled with the idea of offering American music lovers our extraordinary online music service," stated Denis Thébaud, Qobuz president. "Our team is made up of dedicated, knowledgeable discographers, who, day after day, sift through our catalogue, to bring the past to life and to discover new great talent. They help our users unearth discoveries in all musical genres. Qobuz is a specialist in all genres. We look forward to bringing our service to the American audiophile." In addition to passionate music lovers – regardless of genre – the Qobuz high-end music service is aimed at two other segments of the public. The first segment is art and culture enthusiasts, who are eager to enjoy a cultural vision of musical heritage. In Europe, Qobuz has gained a solid reputation among fans of classical, jazz, and heritage genres such as classic rock. The other segment Qobuz targets is informed music lovers, who want to enjoy the best possible sound quality to satisfy their acute ears and sophisticated equipment. Qobuz produces its own editorial content, including hundreds of thousands of album reviews, introductory articles to the artist's discographies, biographical portraits, and exclusive photographs, art, and videos. This independent and original editorial line encourages the musical curiosity of its users and creates a recommendation system that is completely unique from others. Qobuz offers an extensive music catalog with 40-million tracks. It has the rights to an entire range of major and independent record labels around the world. It always offers this content in a quality that is superior to most other platforms, at the very least in FLAC Open-Source format in 16-Bit/44.1 kHz quality, similar to CD quality, and far superior to your typical Lossy (such as MP3) streaming music service. Qobuz has unparalleled expertise in the field of Hi-Res music and offers music lovers a huge Hi-Res (24-Bit up to 192 kHz) catalog of one-million tracks (80,000 albums). All of it is available for either streaming or downloading, without any up-sampling or re-encoding. Qobuz is a comprehensive service offering both streaming – up to Hi-Res quality and without concession, and "pay-as-you-go" downloads. It offers users a full range of applications for listening on-the-go or at home. These include PC, Mac, and Windows; and both iOS and Android mobiles or tablets. These applications offer inspired functions, and in some cases ones that are unique, such as providing access to digital album booklets in every streaming subscription. Qobuz is available for Hi-Res streaming on the largest connected audio systems, such as ChromeCast Built-in enabled products Sony, Naim, JBL, Harman Kardon, LG, B&O Play, Philips, Vizio, Pioneer, Onkyo, Grundig, Polk, Raumfeld. Multi-room audio leaders such as Sonos, Yamaha MusicCast, Bluesound, Devialet, Linn and Samsung. High-end brands such as Mark Levinson, Auralic, Aurender, Lumin, T+A, AVM, Burmester, Esoteric and Sim Audio. It is compatible with DTS Play-Fi and all brands associated, such as McIntosh, Sonus Faber, Paradigm, Phorus, Rotel, Thiel, Anthem, Arcam, Definitive technology, Klipsch, Martin Logan, Dish, and many more. 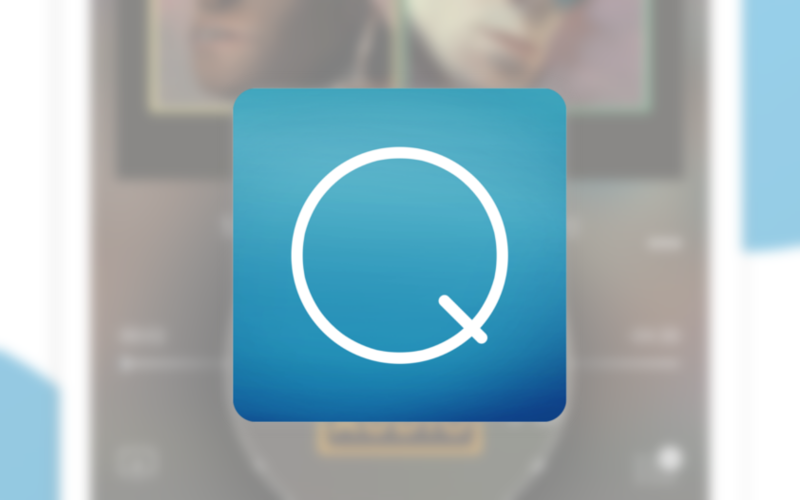 Moreover, Qobuz can be played via Bluetooth, Airplay and third party applications BubbleUPnP (Android), USB Audio Player Pro (Android), mConnect (iOS & Android), Audirvana (Mac), Kodi, and Hercules Djuced. Qobuz delivers Hi-Res Audio content as defined by the Japan Audio Society (JAS), a body that provides a definition of Hi-Res Audio and operates a label of the same name. The term Hi-Res audio includes all analogue devices capable of reproducing or recording at frequencies of 40 kHz or above (microphone, headphones, speakers, etc.) and all digital devices capable of processing or converting 24-Bit or higher signals. To qualify as Hi-Res, the volume of information transmitted must be greater than that of a CD (16-Bit/44.1 kHz) or DAT (16-Bit/48 kHz). There is not just one type of Hi-Res file, there are many formats including: FLAC, WAV, ALAC, AIFF, DFF and DSF. In practice, all of these formats can be considered to belong to the Hi-Res class if they are encoded in 24-bit (except for DSD formats derived from the SACD, whose 1-Bit operation is different). Founded in 2007, Qobuz is a French commercial online music streaming and downloading service that addresses the needs of curious and discerning music lovers across the globe. It is currently available in 11 European countries. Complementing its unparalleled expertise in sound quality, Qobuz offers an exceptional range of music genres as well as exclusive editorial content independently curated by a team of experts. Qobuz offers subscription to streaming services with genuine CD quality audio of more than 40-million tracks from all repertoires and genres. Today, Qobuz has the largest catalogue of 24-bit Hi-Res albums for downloading, and now offers the very first Hi-Res streaming subscription, called Sublime+. For more information, visit: www.qobuz.com. All products/services and trademarks mentioned in this release are the properties of their respective companies. ©2018 Qobuz, Inc. All rights reserved.